Summer Reading is a free program that encourages children and teens to read over the school break in order to prevent summer reading loss, when students who don't read can lose up to three months of reading achievement. Summer reading loss is cumulative. By the end of fifth grade, children who lose reading skills over the summer will be three years behind their classmates. The library offers incentives such as fun prizes and activities in exchange for reading. 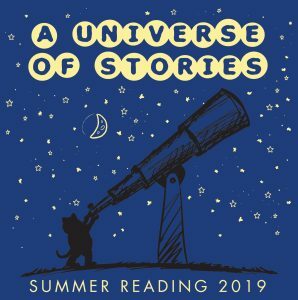 Our 2019 theme is “A Universe of Stories.” To celebrate the 50th anniversary of the Apollo Moon Landing, participants will be encouraged to explore space through engaging programs, literature, technology, arts and more. Children, teens and adults will have the opportunity to read books and attend out-of-this-world library programs! Our focus for children and teens is to keep their minds active and engaged during their summer break, with incentives for reading and a wide array of programs highlighting music and its connection to science, technology, engineering, arts and math (STEAM), making, coding and more. Foundation for Baltimore County Public Library provides support for this important program with additional support from valuable community partners. 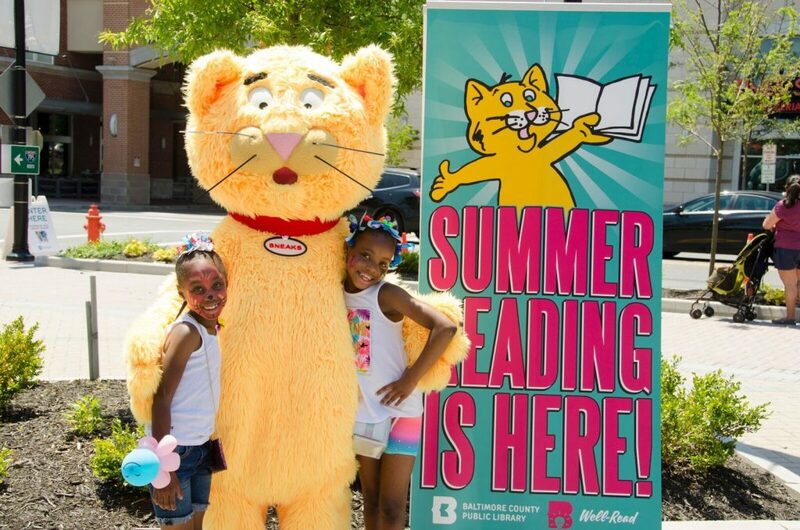 By investing your sponsorship dollars in Baltimore County Public Library’s Summer Reading 2018, you demonstrate that your company recognizes the importance of literacy and learning, and will help all citizens of Baltimore County continue to explore, learn, create and connect.